I am reblogging this from Miles Richardson’s Finding Nature blog. Miles is an applied psychologist researching nature connection. One recurrent theme of this research is that knowledge-based activity which focuses on “successful achievement” of, for instance, identification of birds, is not a good predictor of nature connection. There is a place for knowledge – indeed, the attempt to identify, in my experience, is itself a form of pleasure and leads to a focused attention – but equally “not succeeding” (again in my experience) can lead to disappointment and a certain alienation from nature-based activity. 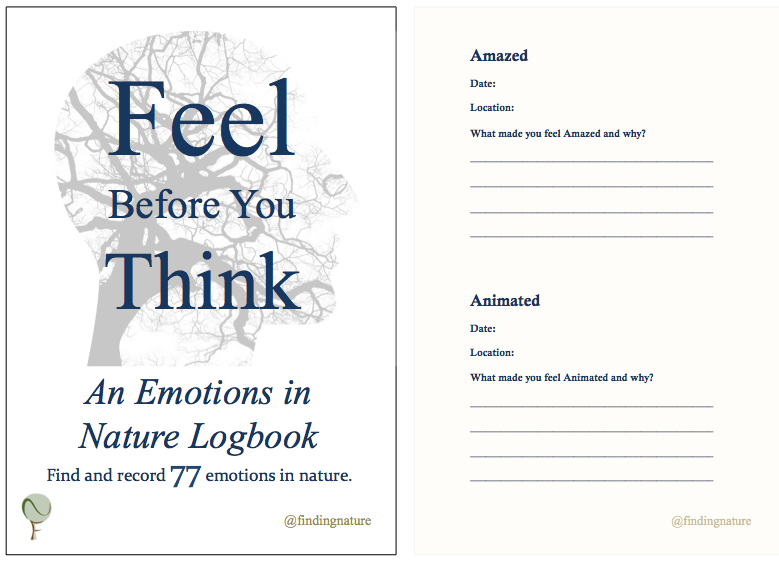 Hi Miles, What a wonderful post and stellar idea, both the nature connection to birds book and your emotions to nature log book. Having abandoned academic ornithology post-PhD disheartened by its disconnection from actual birds, I completely agree with this post. 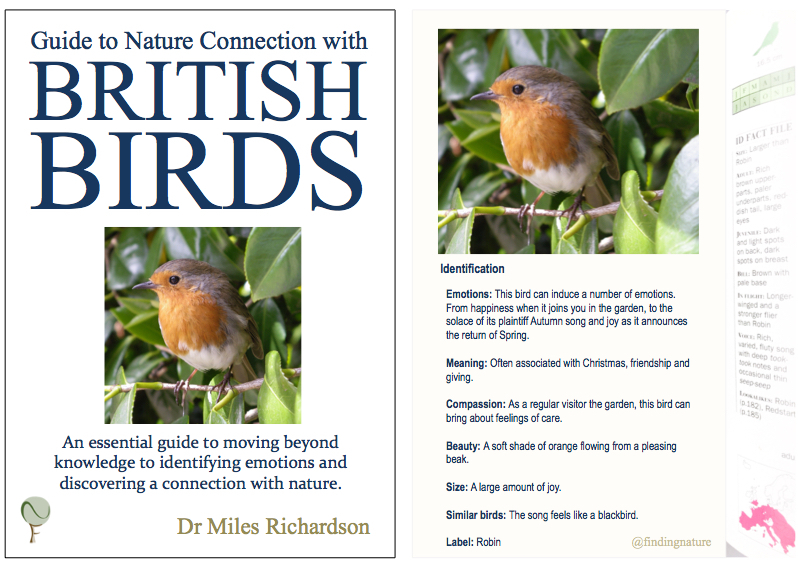 Hi Miles, this alternative bird guide and nature log book are just great! During my career I’ve encountered many teachers and parents who were nervous about taking children on explorations of the natural world specifically because they were concerned that they would be able to identify the plants and creatures that they encountered. Shifting the focus away from nature-based knowledge to nature-based experience is so helpful in getting past this barrier….and there are a plethora of field guides out there to go and look things up in afterwards!! 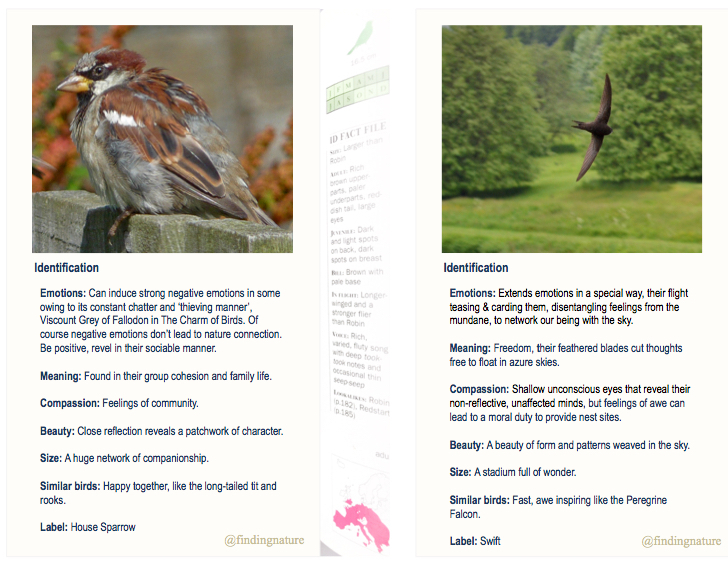 A new field of ‘Experiential Ornithology’ blossoms.